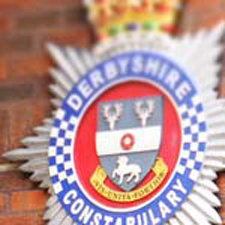 A man and a woman have been arrested and suspected drugs seized by police following a warrant at a house in Inkersall. The search took place on Wednesday, November 30th at a property on Curbar Curve. Officers recovered what is believed to be cannabis and Class A drugs plus a quantity of cash. A 34-year-old man and a 32-year-old woman, both from the local area, have been arrested on suspicion of drug offences. They are both currently on bail pending further enquiries. PC Kelly Brown, of the Safer Neighbourhood policing team which covers the Inkersall area, said: "We will always follow up on information we receive and work with local people to target any issues of concern. Drug misuse and related issues can be harmful to the community which we take very seriously and won’t be tolerated." Anyone with any information about this or similar issues should contact their local Safer Neighbourhood team by calling 101 or you can also send them a message online by visiting the 'Contact Us' section of the website at www.derbyshire.police.uk or you can contact the independent charity Crimestoppers anonymously, on 0800 555 111 or by visiting www.crimestoppers-uk.org.